"Annie" is a new movie version of the musical based on the cartoon strip, which had its debut on a Connecticut stage in 1976. Fairfield Citizen film critic Susan Granger reviews the new movie, "Annie:"
"Annie" had its world premiere in August, 1976, at Goodspeed Opera House in East Haddam. No one associated with that show or its subsequent incarnations could have possibly envisioned this cloying, superficial debacle. Based on Harold Gray's popular comic strip "Little Orphan Annie," the Depression-era story revolved around an optimistic moppet, her dog Sandy and her benefactor, billionaire Oliver "Daddy" Warbucks. Updated to the present with a multicultural cast, the sassy, spunky tyke (Quvenzhane Wallis) is temporarily adopted by a cynical cellphone mogul, Will Stacks (Jamie Foxx), as a ploy for voter appeal when he runs for Mayor of New York City. At his side are his assistant Grace (Rose Byrne) and campaign manager Guy (Bobby Cannavale). Meanwhile in Harlem, bitter, alcoholic Miss Hannigan (Cameron Diaz) takes in foster kids to get a monthly stipend from the city. Sensing the possibility of riches, she passes off imposters as Annie's birth parents. Discarding much of Thomas Meehan's book, Charles Strouse's music and Martin Charnin's lyrics, it's scripted by Aline Brosh McKenna ("27 Dresses") and director Will Gluck ("Easy A"), who hasn't a clue about helming a musical. New songs by Gia, Greg Kurstin and Gluck are abysmal, which is surprising since Jay Z, Will Smith and Jada Pinkett Smith produced. One of the worst stage-to-screen adaptations, its ineptitude is exemplified when Grace shows Annie her "new" home, a, cavernous ultramodern penthouse, to "I Think I'm Gonna Like It Here." And "Moonquake Lake" serves as a gimmicky movie-within-a-movie -- with Ashton Kutcher, Mila Kunis and Rihanna. Oscar-nominated for her natural authenticity in "Beasts of the Southern Wild," 11-year-old Quvenzhane Wallis is not a singer. Jamie Foxx is -- but his numbers are forgettable. And neither Rose Byrne nor Cameron Diaz should bank on musical comedies in the future. FYI: John Huston made "Annie" into a movie musical in 1982. As wretched as it was, this is worse! 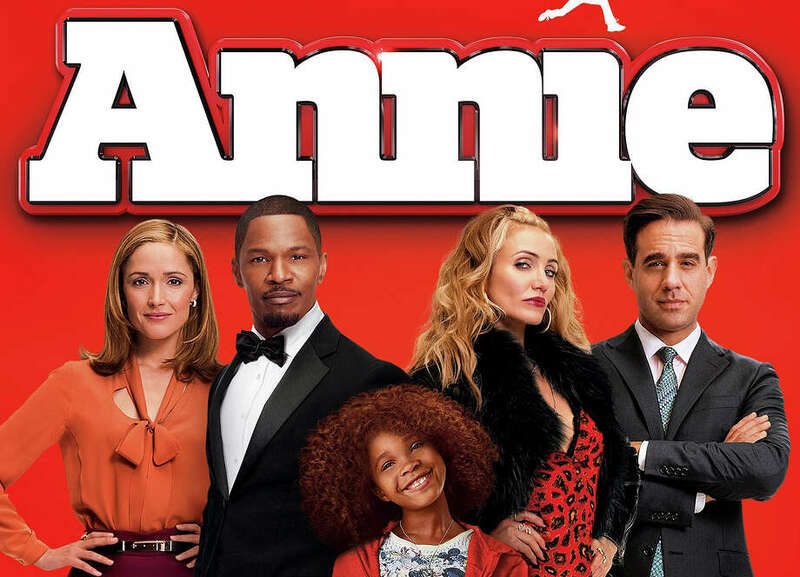 On the Granger Movie Gauge of 1 to 10, this rebooted "Annie" is a flawed 4, as the bling-besotted waif advises, "Save your dreams for good stuff, like shopping with an unlimited credit card."